For anyone wishing to excel in life, in business or at work and to achieve its full potential while respecting his or her values. Programs that allow your managers and leaders to understand their roles and responsibilities as a team coach. Innovative training workshops that promote open conversations on common themes and create synergy within the team. 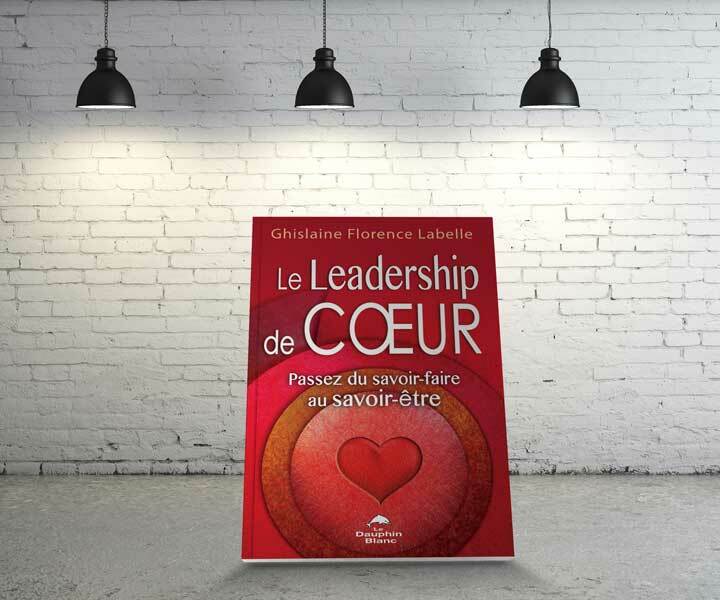 Ghislaine Labelle's Le Leadership de Coeur invites you to discover yourself through her new book, now in bookstores. If you have dreams and desire to take action to achieve them, we will help you. The TransformACTION program is designed to help your team achieve its goals. Our coaching workshops are an innovative approach for motivated teams and managers. Meeting and working with the talented and knowledgeable Ghislaine Labelle as a personal coach, has been the most positive and impactful experience I have had this year. Ghislaine possesses the rare gift of being able to coach others and for this we can all be very grateful. I encourage others to consider this rewarding path. Ghislaine Labelle has successfully provided Stuart Packaging Inc. with the Symbiose ™ training program. By adapting the training to the realities of our company, she succeeded brilliantly at unifying our sales and customer-service team. Ms. Labelle is a committed, dynamic and resolute consultant. VP sales, Stuart Packaging Inc. Thank you for the excellence of our weekly coaching meetings. Your professional support and judicious advice have helped me redefine my priorities and improve my time management. Once Rest assured that I recommend you with complete confidence. It was interesting for me to see how my time was actually spent, I was also pleased as a manager to be able to offer this workshop to my team. These revelations were quite valuable to me, and I believe that all of my team can apply these distinctions at work and at home, thank you Ghislaine for caring! Being given the opportunity to share and exchange ideas with my work group was very interesting. I discovered that we all experience different time restraints and had that common feeling of never having enough time to do our work. These tools have alleviated the stress level in my life! It is very rare that you find an individual that is a professional in what they do and how they do it and is not only driven to pass their knowledge on to others but also has the skills and talent to do so. I know that everyone here at Stuart Packaging who had the opportunity to learn with you feels the same way and for this we all thank you. Continued success and God bless! I want to thank you for having guided and supported me in my personal development endeavour. Your precious advice permitted me to discover what was really important to me and made me conscious of my most profound values which now, are at the very source of my choices. Meeting you was one of the most wonderful events in my experience as a manager. Being responsible for a group of over 20 people, and having to manage a number of conflicts, I highly value the support you have given me. Your professionalism, your availability, your ability to listen, and your advice have all been greatly appreciated. Once again, thank you, Ghislaine. Ghislaine is great motivator and very energetic. She gets you to step out of the forest and look at your perspective in different ways. I absolutely recommend her services. Ghislaine is an incisive coach, a talented facilitator and a solid consultant to business. I've have the pleasure of working with her for several years and have seen firsthand the quality of her work and the strength of the relationships she builds with her clients. Her focus on adding value through contributing in meaningful ways to the success of her clients sets her apart in a cluttered marketplace. Working with Ghislaine is always a pleasure. Her positive attitude and style combined with her experience and knowledge are a welcome resource to all her clients. Ghislaine has been very helpful in helping me grow as a Business Leader (a new role for me), especially in the approach of building from the foundation up, and managing people. Thank you for the very good training program. You have contributed to us by adding new tools in our tool box which will enable us to differentiate ourselves from our competition and to close much more additional sales. Keep up the good work ! I recommend Ghislaine to all sales professionals who wish to improve their approach. In fact, Ghislaine opened my horizons in perfecting my consultative selling skills, thanks to my coaching sessions with her. I was impressed with how Ghislaine really helped participants to put their previous sales knowledge and new concepts into a process to generate more predictable and repeatable results. Thank you Ghislaine! I highly recommend Ghislaine to see how she can help your team. Thank you very much for a course that was extremely enlightening and will have a profound affect on all of us. Certainly the delivery made a huge difference, thank you. As a result of your "exceptional" approach and knowledge pertaining to sales, you give me inspiration and I look forward to implementing your suggestions. Professional Selling Private Program: I would like to take this opportunity to thank you for the precious advice that you have given me. With some study and more practice, this training will improve my professionalism with my clientele. Professional Selling Private Program : I would like to thank you for the wonderful moments spent in your company. I am certain that all that I have learned during the program, will not only contribute positively in my work, but also with my family and in my life in general. Hoping that our paths will cross again in the future, so that I may keep on improving during my ongoing journey. This week, I had the chance to meet with many of the participants from your recent training program. I heard nothing but praise on your behalf. We are very much looking forward to working with you again in the near futur. Thank You! Ghislaine's integrity and determination, as well as her commitment ( all essential fundamental values for her), are a great source of inspiration to every individual. I strongly recommend Ghislaine's services, for anyone who wishes to transform certain aspects of their professional as well as their personal lives. Naturally, with both being interconnected, her advice as well as her coaching methods, touch all aspects of our Being". I found your book at Renaud-Bray. I love it! We can feel your passion and your integrity. Full of beautiful truth principles. Bravo! Your book will help a lot of people! 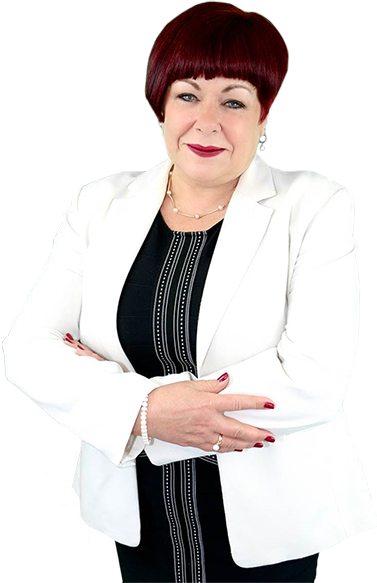 Ghislaine is a sales professional who knows how to communicate and inspire her audiences in using a more efficient, professional and consultative sales approach. A facilitator of high integrity who applies all of the theory and material that she shares. She is a very strategic and important ingredient within a high performance recipe for developing business. I have had the chance of being coached by Ghislaine on two occasions. I strongly recommend her services. Her ability to make things simple, but yet, build strong and elaborate foundations are second to none. Should you retain her services, you will notice that she will captivate the attention of those who are in contact with her and adapt her vast experience to the specifics of your business model. I am looking forward to another seminar with her! I want to thank you for your work that is always done with professionalism, competence and commitment. I wish you much success in your professional life and may it bring you much happiness. It has been an absolute privilege to have worked with you over the past years. From our very first meeting, I could tell that you were great at sales however I picked up something else, a wonderful and very special person behind this great sales woman. You have a marvellous aura full of light and compassion, and I am absolutely certain that I am not the only person to have noticed among the countless others, that have had the fortunate chance of meeting you. With our experience in this industry, we hear often the phrase " everyone is replaceable", however, I find myself not at all in agreement when it comes to you, you are in fact irreplaceable! Il was a great pleasure working with such a professional lady. Always smiling and of good humor! With you, all prolblems became small and easy to resolve. It is not every day that we meet someone like yourself. You are a wonderful and remarquable woman, it was such a great pleasure de know you and work with you. I wish you much success and am looking forward to seeing you again! I had the pleasure of being coached by Ghislaine. The tools given and well explained, are an absolute must to succeed in management. Ghislaine has a very effective and personable approach to coaching. I am very glad to have met her. I have 70 pages left to go in my reading of Le Leadership de coeur. This book reminded me of good practices that I used to apply instinctively during my young career as a leader. These practices had brought positive results amongst my coworkers as well as my employees. I am now conscious that I forgot about them with time, as I was more concentrated on efficiency and performance. The heart takes care of the performance aspect, we need to take care of our people. This book served as a great reminder for me. A book that gives us answers. This book spoke to me, and is very profoundly enriching, especially the tools on how to better manage ourselves. Being at peace and comfortable with ourselves, radiates an energy that communicates strongly. Thank you dear Ghislaine. Thank you for your generosity, your time, your smile, your listening and your kind words. You were a lighthouse for me, because you succeeded in shedding light on past events, you also enlightened my thoughts and my inner conversations. Thanks to you, I feel so much better about who I am. I am now more connected with my values, with who I truly am, with what I want and what I am worth! I now feel well armed and confident in creating my future. You are an angel, please accept this gift that will brighten your days, and will remind you always of all of the good you do for others. Mrs. Labelle, I did not simply read your book. I devoured it! It is so interesting and it inspires me to continue to believe in my convictions. It allowed me to reflect on my present leadership style and how I can improve this in order to be a more effective leader for my team. I underligned and wrote down my own reflections. I absolutely adored this book. I can hardly wait for your next one! Annie Boucher, Captain, Fire department. The Team Synergy program and training was very enjoyable and useful! It was a great pleasure to have met Ghislaine during the Team Synergy program and workshop. Excellent trainer and person! The Team Synergy program and workshop was amazing! This brought the group closer and gave us the tools to work on. The " Team Synergy" program is a very good program. I felt the energy being positive in the entire team. I am certain we will communicate differently moving forward. Thank you for the very informative session and in helping us in our development as leaders. This program will be very useful for me in how to coach my team! Training program: " Comment développer une expérience client inoubliable? Very satisfied with the entire program. This training helps us in gain a better understanding of our customers needs. Program: " Comment développer une expérience client inoubliable? Very good contents and program! Training Program: " Comment développer une expérience client inoubliable?" Very interesting and helpful. I will use this in my day to day! Programme: " Comment développer une expérience client inoubliable?